Spring is in the air: environment calls, will packaging answer? Have you ever thought that the collapsible aluminium tubes would be the perfect protagonists of the film “Groundhog Day”? On February 2nd in America, but after the advent of the social media almost everywhere, was celebrated the Groundhog Day, a party made famous by 1993 movie with Bill Murray (“Groundhog Day” ). 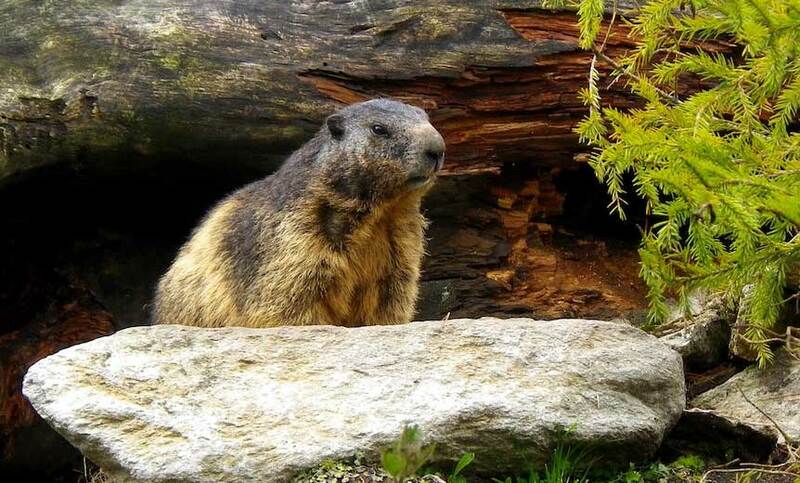 And, as punctually as every year, at Punxsutawney in Pennsylvania, last Saturday the famous groundhog, named Phil, predicted the arrival of an early Spring. What if this year spring was something more than a climatic season? If it were a new beginning that involves our habits and our relationship with the environment? After all, with climate change on the international politicians’ agendas, a newfound sensitivity towards the issues of sustainability and recycling can also be an important boost for civil society. “Groundhog Day” the movie lends itself well as a metaphor for life, because the plot tells the story of Phil Connors, who is trapped in the Groundhog Day: every morning he wakes up and finds himself forced to relive the same day. But isn’t it something we all do every day? Like starting all over again? Of course, Phil Connors the protagonist is always reliving the same day, trying to give it a new sense every time avoiding or remedying mistakes. But this makes us think a little bit about our collapsible aluminium tubes, which always start all over again. Not every day, but at the end of their life cycle as a packaging for a given product. The collapsible aluminium tube, in fact, after having lived its existence as a container for a cream, a sauce, an oil color, and after being squeezed to the last drop rolled up on itself, can be recycled and be reborn to a new life. Aluminium, as you know very well, is a truly amazing material with qualities that make it perfect to be recycled. In addition, the recycling process allows energy savings of 95% compared to raw material production. Aluminium is infinitely recyclable, as the metal characteristics remain unchanged even after endless recycling processes. One of the characteristics that can be recognized with aluminium is versatility. As a ductile and light metal but also very resistant aluminium lends itself to being used in many industries. Worldwide, Italy is in third place for the aluminium recycling industry: it is estimated that almost all the aluminium produced in our country derives from recycled materials, guaranteeing an important source for Italian economy. Without even knowing it, we see aluminium first-hand in the most different forms. Aluminium is related to modern society, since it has become a fundamental raw material for many industrial sectors, replacing many other previously used metals. An example? Tin. Eventually, the first collapsible tubes were made of tin, but when aluminium came along, took the packaging market by storm. Of course, we cannot change the world on our own, but our habits can support and foster a process of change. And if we cannot change the world, we can easily change these habits! For example, making a responsible choice with packaging. Aluminium turns out to be the elective raw material for a sustainable and recyclable packaging. In conclusion, we can define the life cycle of aluminium a virtuous one. Let’s see why. At the end of the life cycle an asset no more used goes to disposal or recycling, according to its characteristics. In the market economy the possibility of recycling a material depends on its residual value. Aluminium’s one is very high, precisely because it retains its peculiarities even after endless recycles, so it becomes very convenient to recycle it, as this process allows energy savings that also turns into an important reduction of emissions, with a positive return to the environment.